Storyline:- A young elephant, whose oversized ears enable him to fly, helps save a struggling circus. 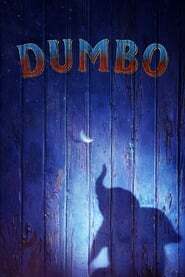 But when the circus plans a new venture, Dumbo and his friends discover dark secrets beneath its shiny veneer. Storyline:- Bruce Banner, a scientist on the run from the U.S. Government, must find a cure for the monster he turns into, whenever he loses his temper. Storyline:- Henry is resurrected from death with no memory, and he must save his wife from a telekinetic warlord with a plan to bio-engineer soldiers. Storyline:- As an Orc horde invades the planet Azeroth using a magic portal, a few human heroes and dissenting Orcs must attempt to stop the true evil behind this war. Storyline:- After a cyber-attack reveals the identity of all of the active undercover agents in Britain, Johnny English is forced to come out of retirement to find the mastermind hacker. Storyline:- As the Mayan kingdom faces its decline, a young man is taken on a perilous journey to a world ruled by fear and oppression. Storyline:- A teenager discovers he’s the descendant of a Greek god and sets out on an adventure to settle an on-going battle between the gods. Storyline:- A Malinois dog that helped American Marines in Afghanistan returns to the United States and is adopted by his handler’s family after suffering a traumatic experience. Storyline:- Aspiring musician Miguel, confronted with his family’s ancestral ban on music, enters the Land of the Dead to find his great-great-grandfather, a legendary singer.